Fuzzy controllers (FCs) based on integer concepts have proved their interesting capacities in several engineering domains. The fact that dynamic processes can be more precisely modeled by using fractional systems has generated a great interest in considering the design of FCs under fractional principles. In the design of fractional FCs, the parameter adjustment operation is converted into a multidimensional optimization task where fractional orders, and controller parameters, are assumed as decision elements. In the design of fractional FCs, the complexity of the optimization problem produces multi-modal error surfaces which are significantly hard to solve. 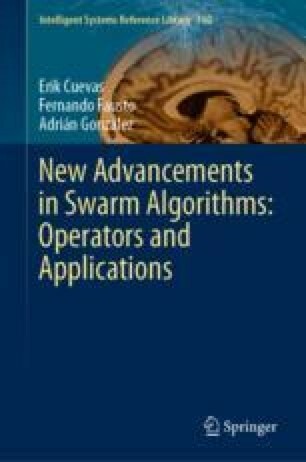 Several swarm algorithms have been successfully used to identify the optimal elements of fractional FCs. But, most of them present a big weakness since they usually get sub-optimal solutions as a result of their improper balance between exploitation and exploration in their search process. This chapter analyses the optimal parameter calibration of fractional FCs. To determine the best elements, the approach employs the Social Spider Optimization (SSO) algorithm, which is based on the simulation of the cooperative operation of social-spiders. In SSO, candidate solutions represent a group of spiders, which interact with each other by considering the biological concepts of the spider colony. Different to most of the swarm algorithms, the approach explicitly avoids the concentration of solutions in the promising positions, eliminating critical defects such as the premature convergence and the deficient balance of exploration-exploitation.